Visit the Asinelli Tower, the taller of the two sisters: 97.2m high, leaning a noticeable 1.3° off-centre. It was built between 1109 and 1119 as a symbol of grandeur for the family by the same name. It then passed into the hands of the municipality the following century. The tower was a lookout and defensive stronghold. Its military purpose is evidenced by the lower loggia, also called rocchetta or mini fortress, that was built around the square base in 1488 as headquarters for the tower’s sentinels. 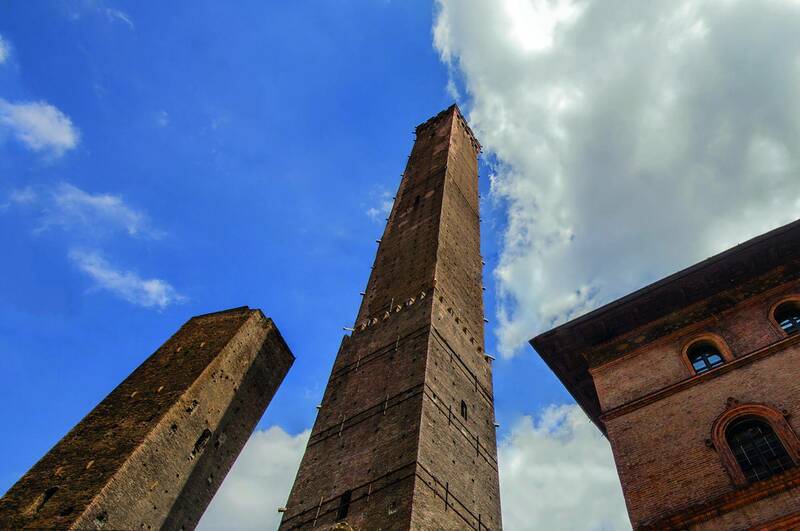 Bologna is an extraordinary city and the Tower is its beating heart. The view from atop the Torre Asinelli is breathtaking, and the journey upwards is unique and unforgettable. If you cancel or modify your booking at least 1 hour before the scheduled departure, there is no cancellation fee.